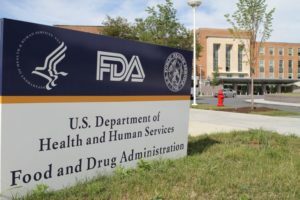 The FDA’s updated statement last week brings the agency’s position into alignment with the World Health Organization (WHO) which has acknowledged the association between ALCL and breast implants since 2016. Although rare, cases of ALCL associated with breast implants, like other serious complications from medical devices, are under-reported to the FDA. There is not currently enough data to conclude how common breast implant associated ALCL is in the U.S. Most of the time, treatment of ALCL involves removing the implant, but can also include chemotherapy and radiation if there is lymph node involvement or broader spread of the disease in someone’s body. Breast implants can be used in reconstruction after breast cancer and, more frequently, for breast enlargement as an elective cosmetic procedure. The New York Times reports that of the 400,000 women in the U.S. who received implants in 2016, 109,000 were for reconstruction after breast cancer. Onset of this rare type of lymphoma can develop many years after the implant. The WHO reports that the median interval from the time of the implant to the development of lymphoma is 10 years. Although cases of ALCL have been associated with both smooth and textured breast implants, the vast majority (nearly 90%) of the reported cases where the texture of the implant is known occurred with textured implants. Textured implants have been used since 1990 to prevent rotation for newer “anatomically shaped” implants and also to help prevent capsular contracture, which is a complication from surgery where scar tissue around the implant becomes hard and painful. My commitment to ensuring that women have access to unbiased, comprehensive, and evidence-based information as they make decisions about breast care is what brought me to Breast Cancer Action. Too often, women are given medical information only in very broad strokes when they are diagnosed with breast cancer, and many come to find after making treatment decision that they weren’t informed about all of the potential side effects. Every patient deserves the time and information to understand the full range of their options and make the decision that is right for them, which may be different from someone else’s decision in the exact same circumstances. Many women who elect to undergo breast reconstruction later report receiving less than complete information about breast implants in their medical consultations about the procedure. For example, many women who experience complications later say they are surprised to learn that between a quarter to a third of implants require a second unplanned surgery—with some studies reporting complications for nearly half of implant surgeries. They also often learn from other women, rather than their healthcare team beforehand, that there can be pain, burning, and itching sensations. They are told that the implant will “look and feel” normal, not that their chest will be numb after a mastectomy or that the implant will always feel cold. They are told that implants are safe, but not about a rare blood caner or other serious health risks associated with implants. Every medical procedure comes with risks and benefits and breast implants are no different. However, too often surgeons gloss over the rare risks and serious harms of implants. I’ve heard surgeons at countless breast cancer conferences bemoan the low rates of reconstruction, particularly for women of color, and wonder how to encourage more women to opt for reconstruction, without acknowledging the risks and harms associated with the procedure. Rather than simply reassuring women that breast implants are safe and have good cosmetic outcomes, surgeons should support informed decision- making by discussing the full range of side effects with their patients, including the rare risk of anaplastic large cell lymphoma (ALCL), which have been associated with implants. Women are fully capable of assessing risks and benefits and making the treatment decisions that are right for them. The twenty-year history of concerns about breast implants is a cautionary tale at a time when the Trump administration considers vast budget cuts to the FDA and has nominated an FDA Commissioner who is decidedly pro-industry and may weaken safety standards. We cannot afford to let rare side effects go unreported and understudied—and leave women uninformed. Every woman deserves to make her own informed decision, weighing the risks and benefits based on her values and priorities. The burden is on our public health systems, regulatory agencies, and health providers to support each woman in truly informed, evidence-based, individual decision-making.